[insert button] Looking for a high quality purse that is not only stylish, but durable and functional? If so, we think you will love Hedgren purses, especially the Hedgren Leah Tote. For those who aren’t familiar with Hedgren, they are a popular European bag company that is now available in the United States. 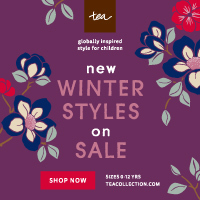 They have a large variety of totes, colorful handbags, totes, and even luggage to make sure a girl has everything she need to be stylish anytime, anywhere! Their bags are designed to be both stylish and functional, with all their bags made from their signature Nylon material that comes in a variety of different colors and styles. For those trying to find an amazing everyday bag for themselves or as a gift for special someone, we think you will adore the Hedgren Leah Tote. This tote is perfect for anyone on the go. It features a zip top, front zip pocket, back pockets, and long handles for carrying lots of your favorite things. 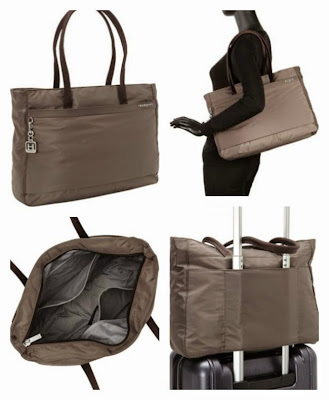 This tote is great for ladies who need to carry everything in your bag since it has lots of space inside. For someone who travels, it even has a nice compartment that easily opens to slide over the extendable handle of your suitcase, allowing you to keep your purse safe and hands free to keep up with what’s important to you (especially little hands!). 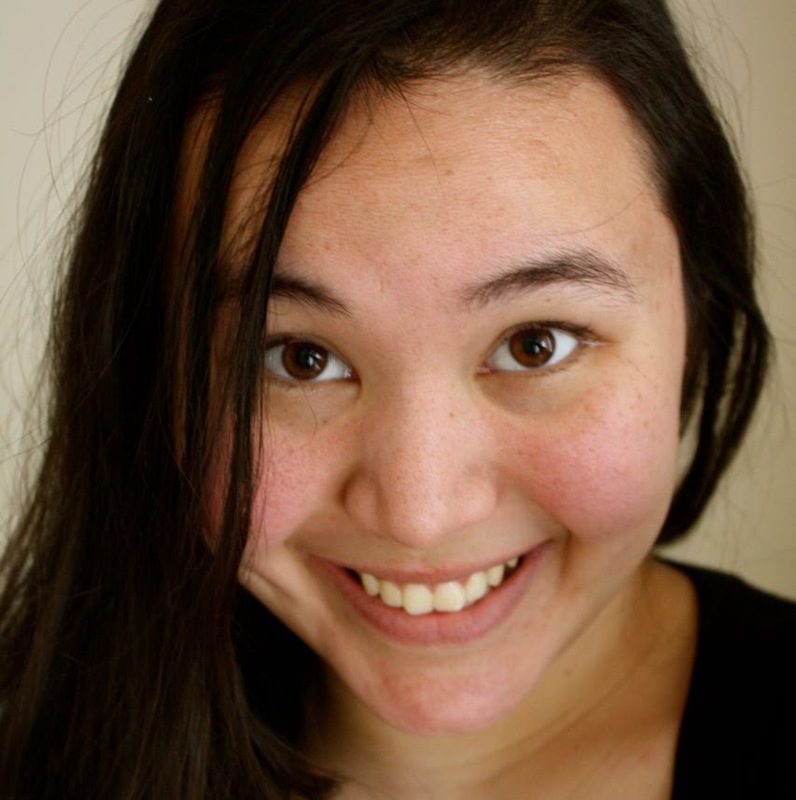 To learn more ,make sure to check out Budget Earth's Hedgren Leah Tote Review. Want to win this beautiful purse for yourself or someone you know? Budget Earth is excited to be working with Hedgren on this awesome giveaway! 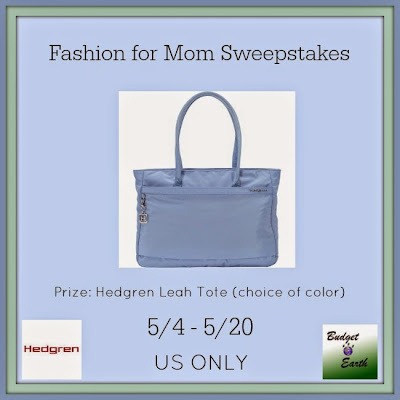 One very lucky reader will win a Hedgren Leah Tote in their choice of color. To learn more, make sure to read the rules below and then enter through the Rafflecopter. 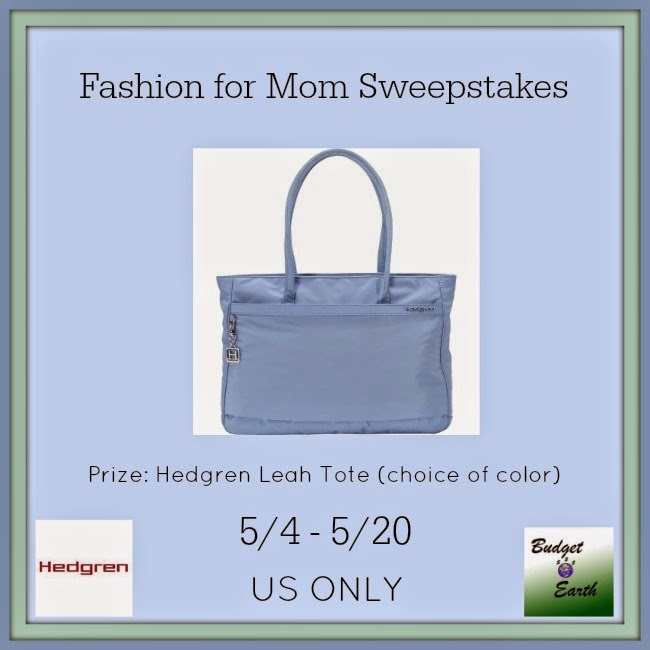 One lucky reader will win a Hedgren Leah Tote in winners choice of color. Sweepstakes ends May 20th at 11:59pm ET. Liking on Facebook does not increase one’s chance of winning.